The first high-fidelity simulator for immersive transvenous pacing from insertion to capture using your own equipment. Simulab's patented, SimuSensor™ technology powers PacerMan, a new high-fidelity simulator with ultrasound compatible soft-tissue. Imagine students practicing multiple outcomes for the entire transvenous pacing procedure using their own equipment and kits —all in an immersive simulation setting. 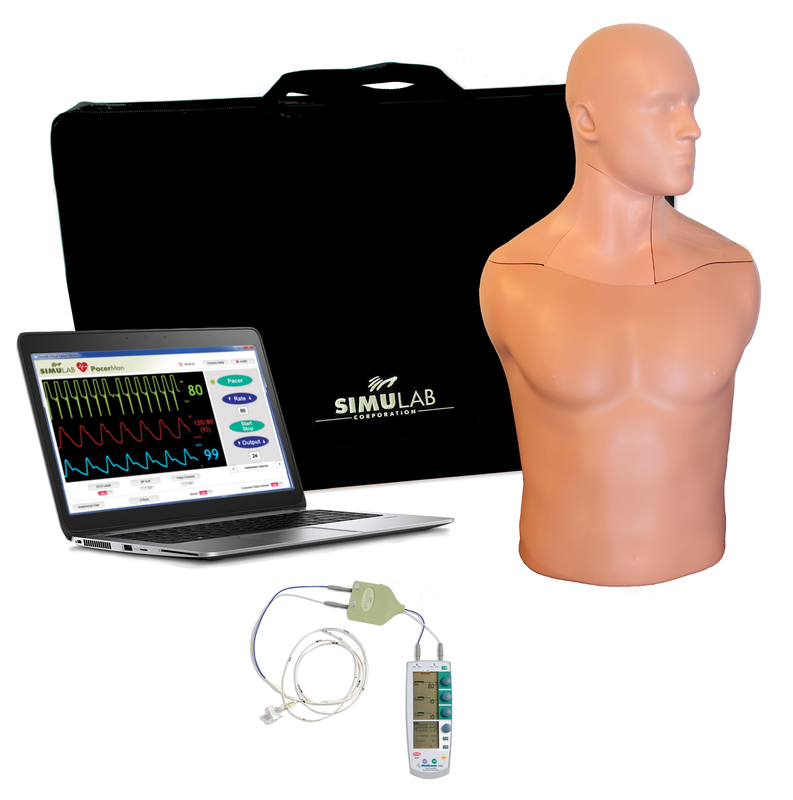 Using either a blind or ECG guided technique, they can perform this life-saving and rare procedure with their pacing generator, a simulated patient monitor, and ECG analyzer. 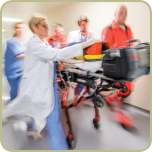 PacerMan easily transports from a pre-hospital setting to the emergency room without interrupting the flow of simulation and learning. The system is Bluetooth compatible and untethered, making it easy to transport and set-up. 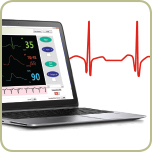 PacerMan users have an opportunity to assess waveforms and manipulate their own pacing generator, while learning to respond to the system's live physiological responses. 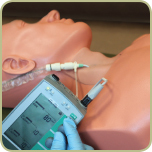 They'll build new skills and gain confidence as they advance from initial training on successful capture, to more advanced training using the ECG guided approach with intracardiac rhythms and variable placement outcomes. And, each instructor has an opportunity to set up the training and define various catheter placement outcomes. Users also have an opportunity to interact with the actual equipment, with a focus on patient safety. For example, at the point of capture, they may step back and realize they’ve missed something as simple and as critical as placing the contamination shield over the lead. *NOTE: Optional Laptop can be included. “PacerMan is an outstanding resource for teaching transvenous pacer placement.There is nothing else like it. Copyright© Simulab Corporation 2003–2016. All rights reserved. Simulab® and PacerMan™ are registered and unregistered trademarks of Simulab Corporation. All components of the PacerMan™ System are made in the U.S.A.